I am an experienced software developer able to build any kind of backend project the ground up - from the concept. Skilled at writing well-designed, testable and efficient code using current best practices in a server-side development. Fast learner, hard worker and team player who is proficient in an array of scripting languages and modern DevOps techniques. As a senior developer, I participated in the architecture design, development, and support of a number web-based applications and mobile applications, utilizing Node.js, Ionic, 3rd party web services, and client-server techniques. Provided technical expertise and organizational skills to a team of developers. Involved in development of Ericsson SS7 project as a full-time employee in a company office. Was developing a cross-platform library for memory management and IPC for the upper layer applications. 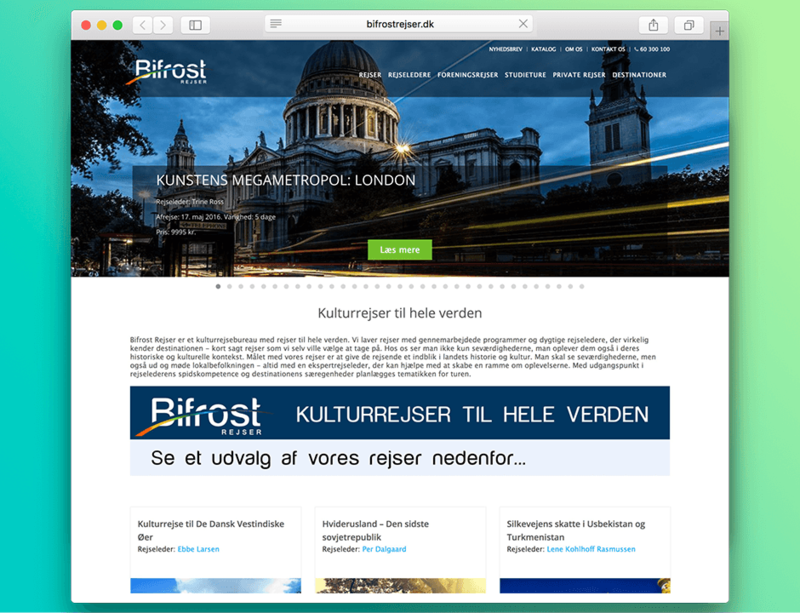 Bifrost Travel is a cultural travel agency which makes traveling with elaborated programs and knowledgeable tour guides who really know the destination. A powerful MongoDB mobile client, allowing quick and simple access to MongoDB servers. Built-in SSH tunnel can connect remote server easily, also ensure data security with SSL. The app giving you access to data and control of all your Zedly devices anywhere you go. Really professional and excellent job done! We have to say our expectations has been met. The cooperation together Yury for finding the best solution for our business has really been good. The customer service and support is at the top level. We will continue to have cooperation with Yury going forward for further development of our business. TOP performance at all levels. Well done. 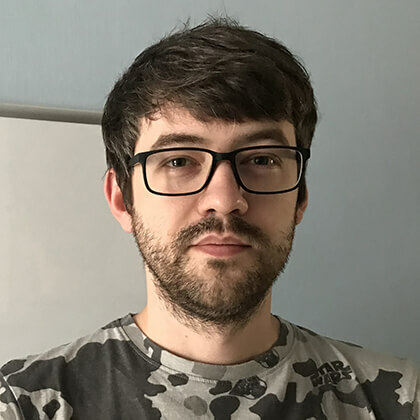 Yury is a pleasure to worth with, a great developer and always delivered as promised with little to no guidance. Don't hesitate to hire Yury. Performed extremely well and very quickly. Strong code, good examples, and documentation. Would highly recommend. Yury has been a pleasure to work with and he has made himself integral to the project. He is very reliable, works well with others, and makes himself available for regular meetings. His code and organization levels are very high. I strongly recommend him. The MongoLime application allows you to connect to MongoDB server using a built-in SSH Tunnel. the best way to configure a tunnel is using a Private key to connect to a server. I've used Node.js with Express.js on the server, rendering the views with Swig. The website content database is crafted with MongoDB and I've used Redis to persist a user session. 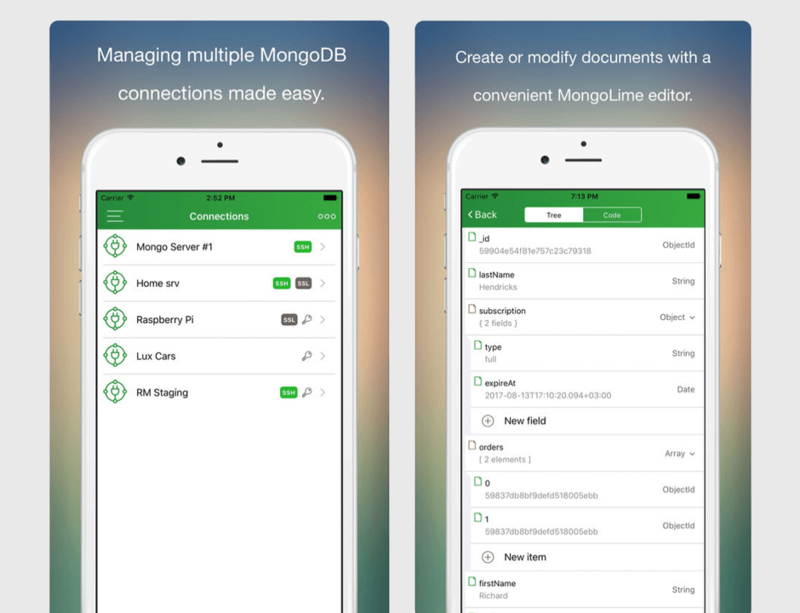 MongoLime is your professional MongoDB mobile client. Manage your databases on iPhone, iPad or iPod touch. 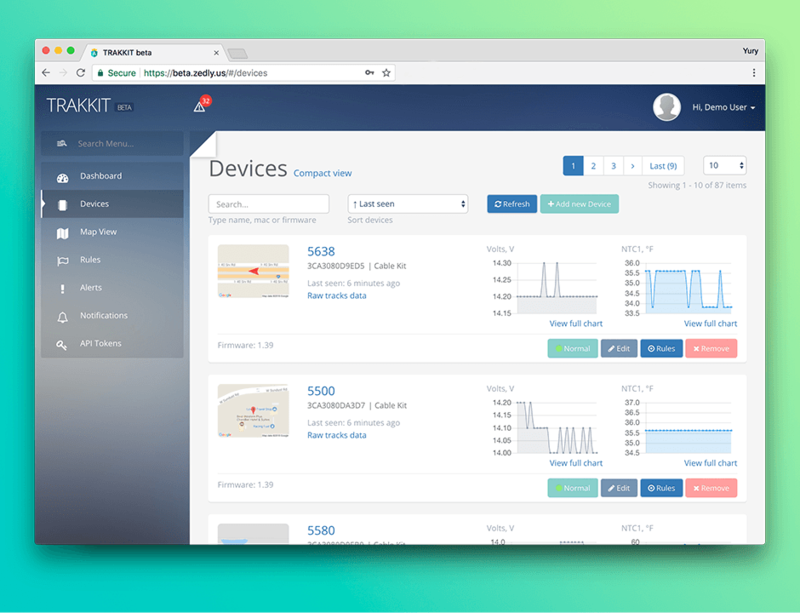 TrakkitTM provides an innovative solution for your tracking needs that includes GPS tracking, active alerts, motion detection and temperature monitoring. This decide operates concurrently with your TrakkitTM to maximize user experience and keep track of all your devices, geofences, data, and notifications.